Book pages laminated Heptagon bangle studded with pearls and gold balls. A stack of pages from Nicholas Christopher's novel "A Trip to the Stars" (german translation) was transformed into a bangle as a reminiscence of this book. 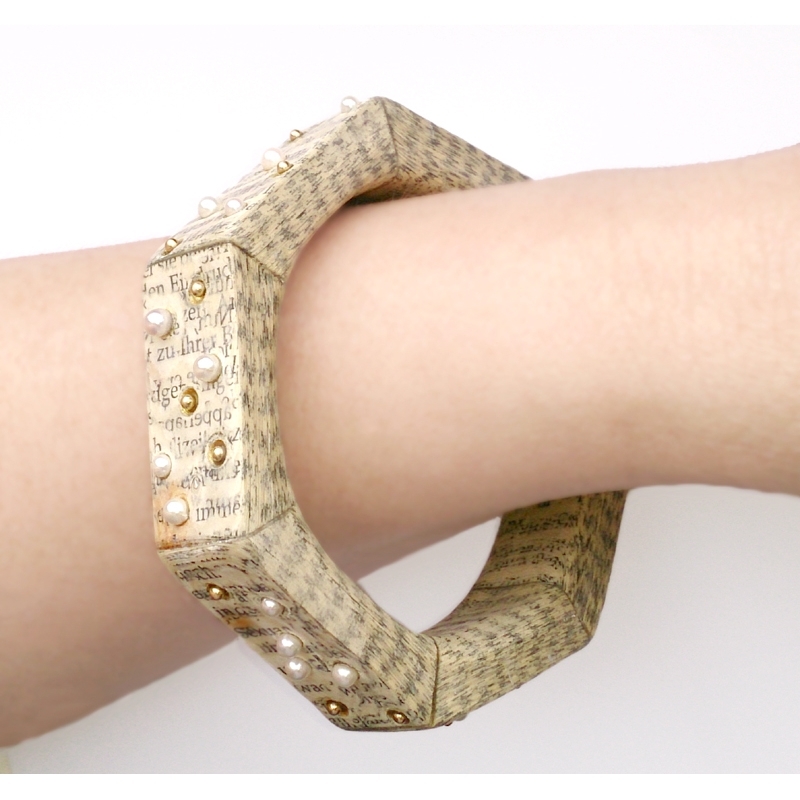 The base material of this bangle is Christine Rozina's special paper laminate. The book pages were laminated page on page, hardened, carved and sanded, then mounted to a heptagonal shape. Sanded, multisealed and smoothly polished to a soft gloss, the surface showing a subtle text pattern, it matches perfectly with the shiny pearls and the glowing gold balls, which are embedded into gold-plated pits. Each of the seven surfaces is studded with four Akoya pearls and three 8k gold balls. All elements are pinned to keep them in place.